You are here: Home / Recipes / Drink Recipes / Bernardin Drinking Mugs & Sip N’ Straw Lids: Delicious Cinnamon Apple Cider Recipe! 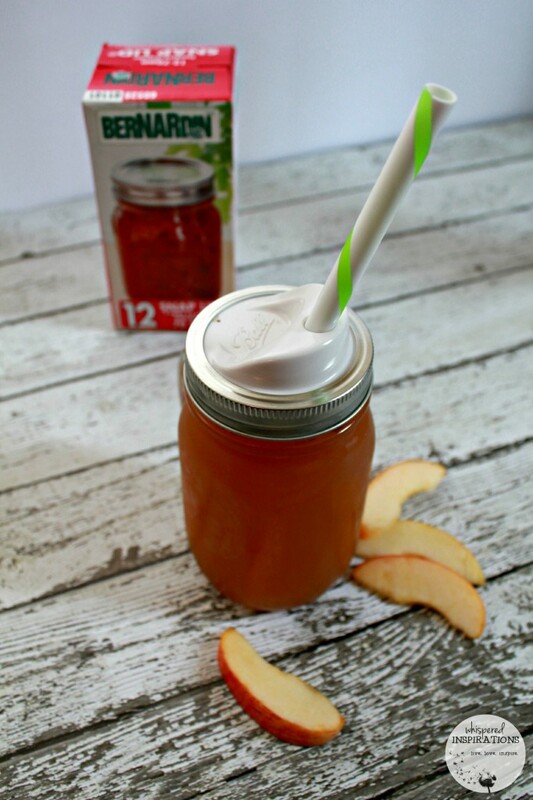 Bernardin Drinking Mugs & Sip N’ Straw Lids: Delicious Cinnamon Apple Cider Recipe! Summer flew right by and we are already into the month of October. What does that mean? Well, for me, it means bringing in the warmth, richness, spices, and flavors of Autumn. When I think about fall, I am overcome with nostalgia and among the very happy memories is apple cider. Whether you drink it hot or cold, there is no question that it evokes euphoria and makes your taste buds rejoice. 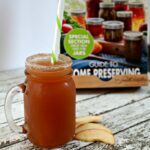 You may have read all about my canning experience with Bernardin but, let me tell you–they are not only about canning! Bernardin has gorgeous and sturdy drinking mugs. They are ideal for your drinks at home or on-the-go, perfect for gifts or parties, durable, made of same high-quality glass as Bernardin canning jars, BPA Free and can be used with any regular mouth lid including the Bernardin Sip N’ Straw Lid. I’ve been using them to drink my sodas, orange juice, lemonade, iced coffees and much more. I normally use Bernardin jars to drink out of but, I love that these have a durable handle and of course, the cover and sipping straw. You just cannot go wrong. 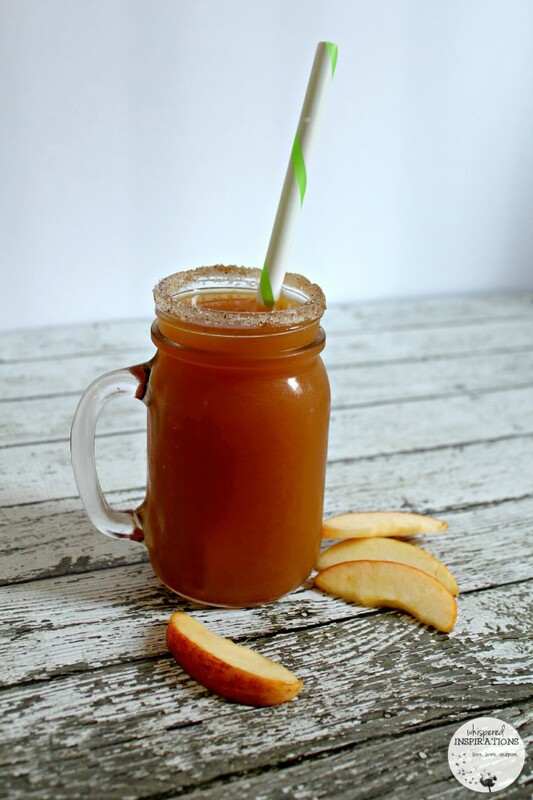 This is a delicious apple cider recipe that is super easy and quick to make. You can have it hot, warm or chilled. 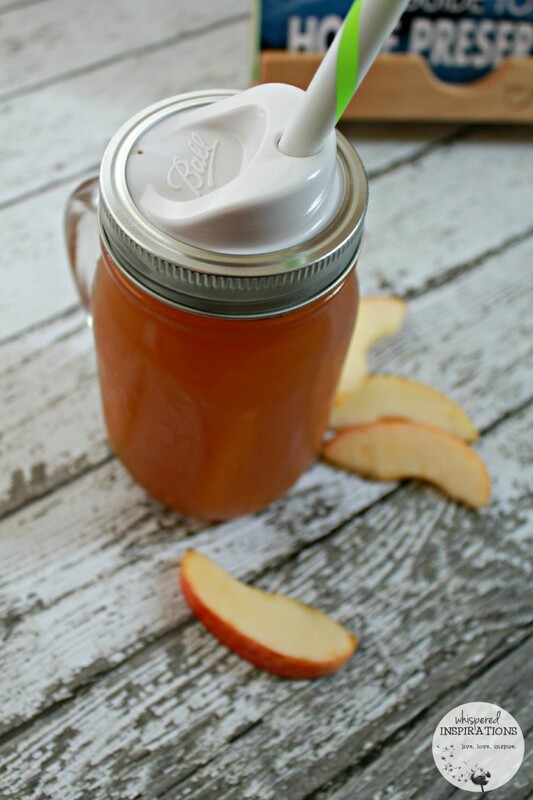 This version is made with an electric juicer but, if you are looking to make and store apple cider, you can always use the Bernardin canning system and jars. Wash Bernardin Drinking Mugs with soapy water. Mix stevia, cinnamon and nutmeg together in a bowl or plate big enough to be able to turn your mug upside down in a 360 motion. Use the apple corer and slicer to quickly chop the apples. Use your electric juicer to juice the apples. Add the juice contents to the pot. Add a dash of nutmeg (or to taste) and cinnamon to taste. Bring to a simmering boil. Let it cool before you ladle it into your Bernardin Drinking Mugs. Do not add to mugs if apple cider is boiling. Once cooled you can add to a decanter and chill in the fridge to serve cool. If you like the cider hot, you can always swap the drinking mugs and drink out of a Bernardin canning jar. They are just as chic and can handle warm fluids. I like mine lukewarm or chilled so, it really is up to your preference. These lids are just the cherry on top. The perfect means to convert your Bernardin drinking mugs into covered glasses. Or your beloved Bernardin jar into a unique drinking glass with cover and straw. Each pack includes four lids and four smoothie-sized straws that are compatible with Bernardin brand metal bands and all Regular sized jars and mugs. They are dishwasher safe and BPA free. I drank my cider cooled and it was absolutely divine. Especially with the evenings starting to get chilly. My husband loved it warm and the girls waited until it was chilled. It was sweet, rich and perfect for the season. You just have to make sure you choose a variety of sweet apples and you’ll be in autumn spice heaven. TIP: If you are feeling frugal, use the pulp for applesauce. You’d have to be okay with the skin though and make sure that if you are going to eat the skin that you use organic apples that are free of fungicides and pesticides. Make sure that you visit Bernardin to see everything they have to offer. You’ll find fun recipes too! These fun drinking cups are perfect to enjoy your favorite drinks, they make great gifts especially with the holidays coming. You can always chat with them on Twitter too, just send @Bernardin a tweet! How do you like your apple cider–hot or cold? I love making apple cider! It's the perfect fall drink! I just love the sip and straw lids – I've never seen them before. I love Apple Cider but have never made it from scratch. I am going to have to give it a try, thanks for the recipe! Also love the Sip & Straw lids! It sure is! So good!